A sprawling metropolis, Los Angeles is the second largest city in the United States. Home to nearly 18 million people from 140 countries with a total of 86 languages spoken, LA truly is a melting pot of cultures. Its coastline along the Pacific Ocean runs for 122km from Malibu to Long Beach, and it is surrounded by two mountain ranges; Santa Monica and San Gabriel. Los Angeles is fondly known as the 'City of Angels'. Other names attributed to the city include 'La La Land' and 'Tinseltown', but whatever you choose to call it, there's no denying the palpable energy of areas such as Venice Broadwalk and the glitz and the glamour of Beverly Hills. Los Angeles also includes other areas such Santa Monica, Burbank, Pasadena, Long Beach and Hollywood almost all made famous by movies and television shows. The city boasts two well-known newspapers - the Los Angeles Times and the Los Angeles Daily News which are good sources for concert information, movie timings and other local information. As mentioned above, Los Angeles is very diverse with about half its population being born outside the United States. Within the city there are many ethnic neighborhoods such as Chinatown, Filipinotown, Little Tokyo, Little Armenia, Little Saigon, Thai Town, Little Persia, and Little India. 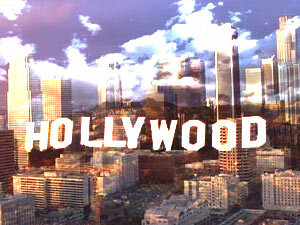 Many celebrities and media personalities make Los Angeles their home due to its entertainment factor. But besides entertainment, Los Angeles is also an important hub for business, technology, fashion and education.